Grand Solmar Vacation Club members have access to a collection of beautiful resorts in a prime location near the heart of downtown Cabo San Lucas. The resorts offer spectacular views of the Pacific Ocean, spacious suites, several top-notch restaurants, and a host of other luxury amenities. But for many members, the resort’s biggest draw is the above-mentioned proximity to downtown. For members the restaurants, clubs, shops, and galleries of Cabo San Lucas are all within walking distance, allowing for more spontaneity in their vacation planning. While the entire Los Cabos area is filled with fun things to see and do, downtown Cabo San Lucas is actually fairly small, able to be walked from one end to the other in somewhere around 15 minutes, if one were to hustle. But that approach is not recommended. Instead, downtown Cabo should be strolled and savored. On the side of downtown closest to the resorts, members will find several sights of cultural relevance. Fronting the marina is the Los Cabos Cultural Center. Housed in an architecturally unique building, the Cultural Center routinely hosts plays, concerts, and exhibitions from local and traveling troupes. Just up Cabo San Lucas Blvd. from the Cultural Center Grand Solmar Vacation Club members will find the historic San Lucas Catholic Church, and one street over, on Hidalgo Blvd. they’ll find the Amelia Wilkes Park. Hidalgo Blvd. is also known locally as Restaurant Row, and as the name suggests, is a great place to get dinner. Near the center of downtown members will discover quaint shops, stylish boutiques, and a couple of Cabo nightlife landmarks in The Giggling Marlin, and the world famous Cabo Wabo Cantina, owned in part by Sammy Hagar. The Puerto Paraiso Mall dominates the side of downtown farthest from the resorts, but still well within walking distance. The stores inside Puerto Paraiso range from fun and funky curio shops to high-end luxury retailers, and everything in between. Visitors to Puerto Paraiso will also find a wide range of casual and fine dining restaurants. Upon leaving the mall members might want to consider making the return trip along the marina. 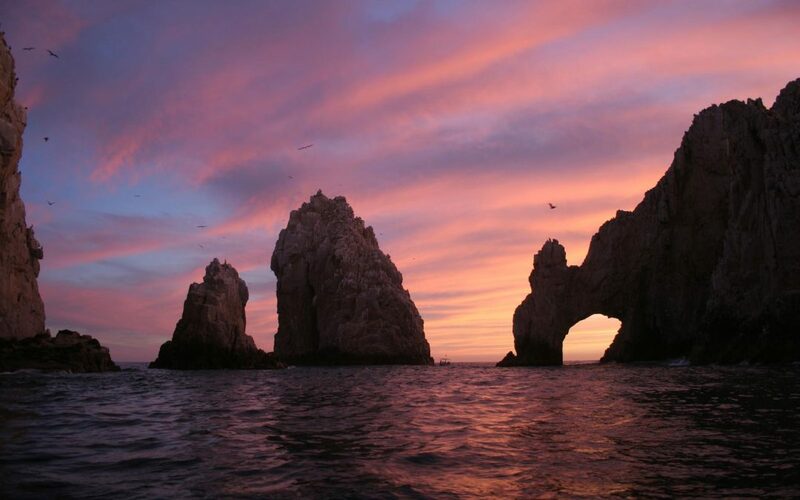 Cabo San Lucas originally came to fame for its world-class sports fishing, and to this day the marina is still the heart and soul of the town. Strollers on the marina will discover more restaurants, shops, and sports bars, but more than that, they will find a lively atmosphere, a refreshing breeze, and a beautiful view.